Hint: Prices for all add-ons are based on 1 unit. It is necessary to take into account the permissible minimum and maximum width of the washbasin, the distance for installing faucets and siphons. Our sales team will contact you to validate your configuration before proceeding to manufacturing. Hint: You may choose between basic lav support or upgrade to our stylish premium lav supports with integrated towel rail. Prices for all add-ons are based on 1 unit. Hint: Add additional support between basins and one additional bracket for every 24" (60cm) of lavatory length. Prices for all add-ons are based on 1 unit. Hint: Prices for all add-ons are based on 1 unit. Please take into account that not all add-ons might be installed at the same time. 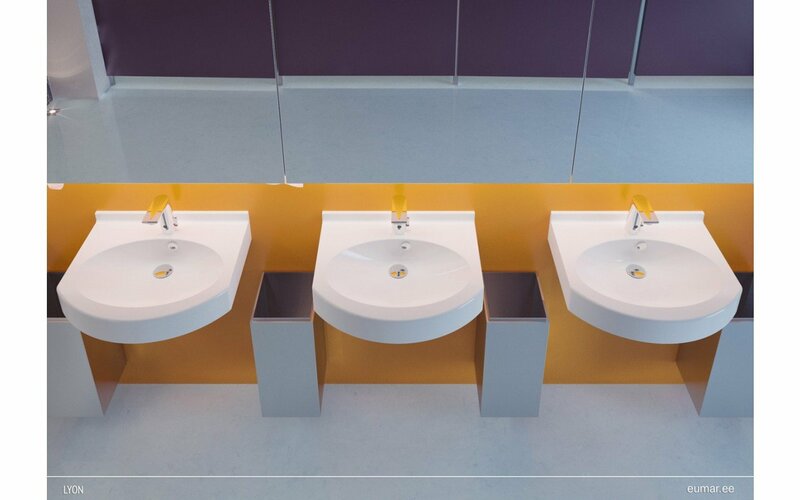 Take into account the permissible minimum and maximum dimensions of the washbasin and the dimensions of the various installed add-ons. Our sales team will contact you to validate the order before proceeding to manufacturing. Wheelchair Accessible wall mounted washbasin with 1 or 2 bowls. Made of EcoMarmor™ – a glossy gel coated cast marble composite stone. Our technology allows taking into account size and configuration of each room. Washbasin dimensions are adjustable to the last millimeter and according to your wishes. Edges can be cut under angle, visible edges can be prefabricated or covered with prefabricated side panel. Composite stone with smooth-finished glossy or mat gel-coat-covered surface. Perfect combination of mineral filler and synthetic binder, covered with wear-proof gel coating to give the material higher strength and durability. Our composite stone molding technique has been improved and modified to outrun production costs and quality of classical cut and glue manufacturing methods. 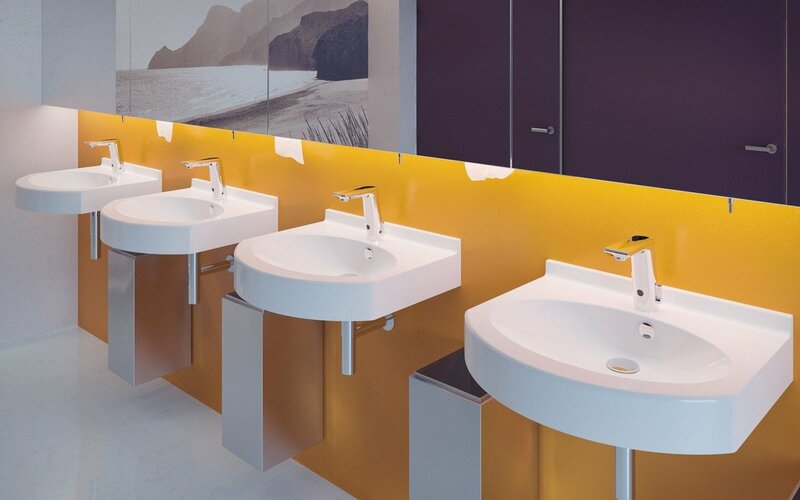 All our washbasins are customizable according to specific requirements and room dimensions. Suitable for home- or public bathrooms. These bathtubs are made of natural marble crumbs and a binding composite material. 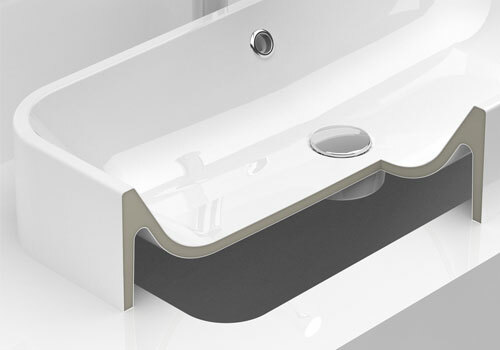 The bath surface is molecularly bonded to high-tech enamel surface during the manufacturing process, using a unique vacuum casting process to create unmatched surface smoothness and density by eliminating any air particles or other foreign objects in the manufacturing process.